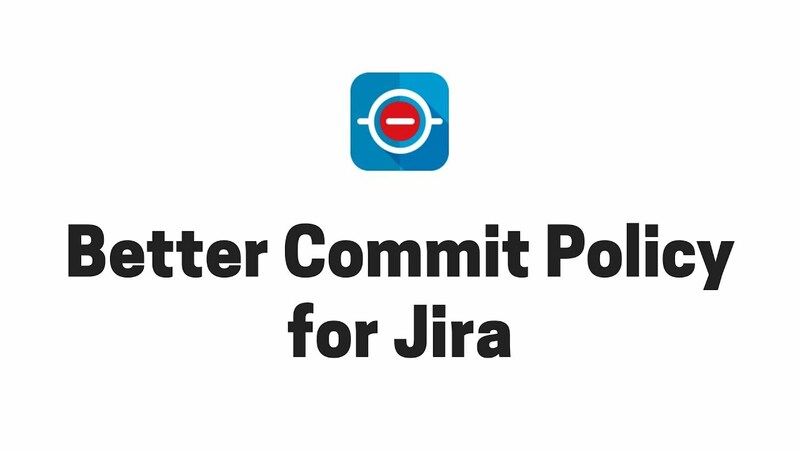 This app was previously called "Commit Policy Plugin for Jira". It is still the same app you love, but it was renamed in Jan 2019. 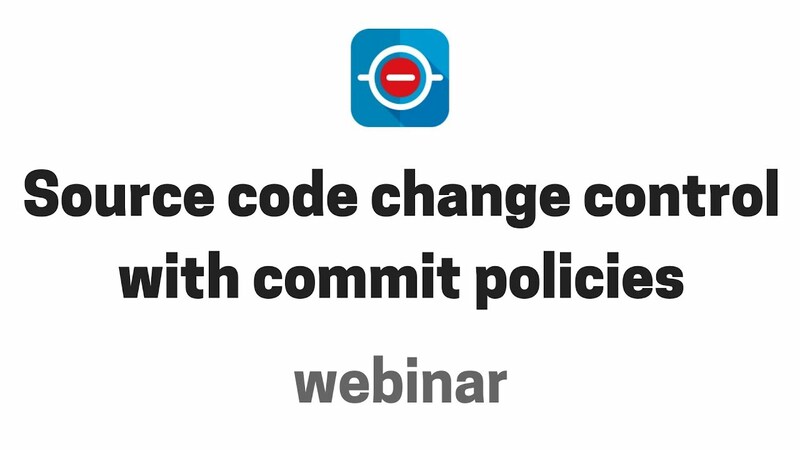 Better Commit Policy checks the changes committed to your Version Control System against a set of configurable rules, the commit policy. When the rules are not satisfied, the commit is rejected. Rejected changes should be "fixed" to comply with the rules, and then be re-committed. Why should I use commit policies? As a result of enforcing rules on the changes submitted your Version Control System, the quality of your processes, the traceability of your changes and the consistency of your source code dramatically improve. ← Learn more by watching the intro video in the left. The rules can verify every aspect of the changes: the commit message, the changed files, the committer, the affected branches and tags. ... plus any other VCS or environment via the REST API and custom hook scripts! Let's face it: developers hate (and refuse) heavy-weight processes. Albeit being light-weight, Better Commit Policy prevents chaos and encourages good practices that everyone agrees upon. And it does so without losing agility. Your team members can use any standard-compliant VCS client (command-line, GUI tools, IDE integrations) on any Operating System. After a couple of rejections, clean and precise commits become the new normal. tag names must start with "release-" or "snapshot-"
branch names must be one of the types "feature/*", "release/*" or "maintenance/*"
bugfix branch names must contain a test execution ID like "bugfix/1741"
story branch names must include a "Story" type issue from the currently running Scrum sprint like "story/CAL-123-shared-calendars"
accept image files only in the "/web/static/images directory"
Who is who and who can do what? Or, just make sure that every change to your code is introduced in a controlled and documented way! Maintain development workflows for consistent repository, code & history. "Was it tested? In what environments?" "Is this within the scope of the current release?" "Is there a programmatic test for this story?" Why should I care about change control? I really believe, every software company must incorporate it into its developing process. This is a must have to have a clean repository. The ability to check the rules also locally is just great. What I liked here, the plugin didn't force me to change how my developers want to interact with the repositories: in command line, in Bitbucket, in Jira, in any type of git clients. Not only does this plugin provide exactly the features we were looking for, it was easy to setup with clear instructions. Support was great - extremely helpful, responsive and polite. While the plugin is great, the support is even greater (shout out to Gabor)! The initial environment setup was fairly easy. Just set it and forget it.